Asphalt Green is home to premier soccer facilities in New York City. Located on the Upper East Side of Manhattan, our soccer teams have the resources to elevate their game in four dedicated spaces. Scroll down for photo tour. 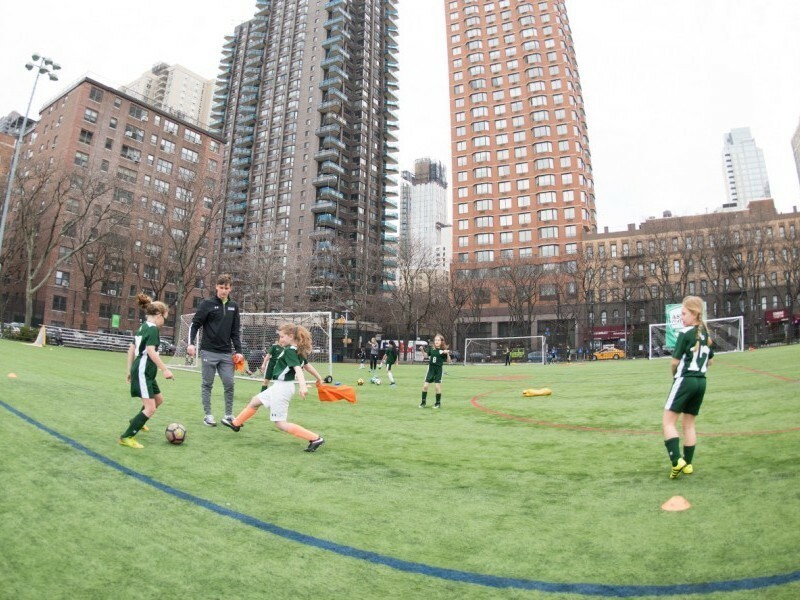 Athletic field: Asphalt Green’s 1.5-acre outdoor soccer field is one of the few places in Manhattan kids can play a regulation-size game. The rare abundance of green space allows young athletes develop skills at a fast pace. 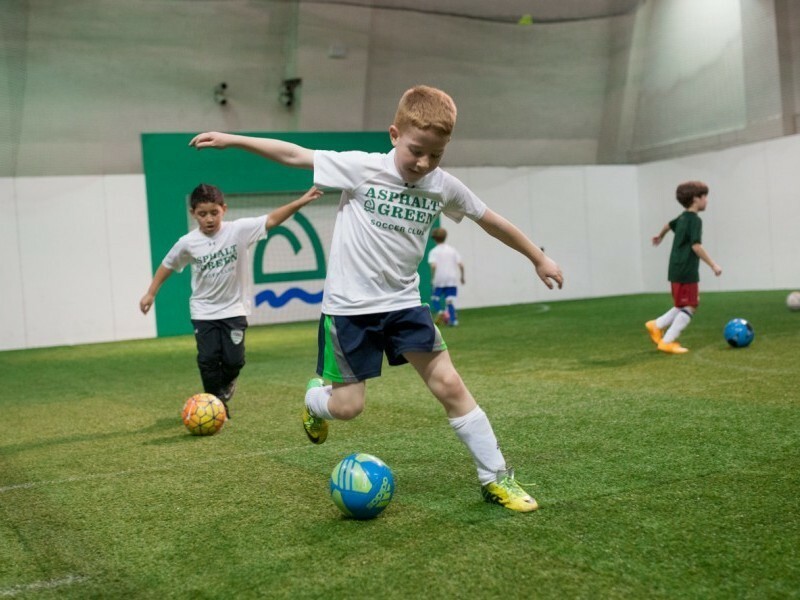 Indoor turf field: Additional space allows our coaches to use creative training methods—small-sided games, first touch drills, ball skills, etc.—and serve more budding athletes. Plus, rain or shine, it’s game on. AG6™: Improve speed, agility, quickness, and reaction time like never before in our one-of-a-kind conditioning space. 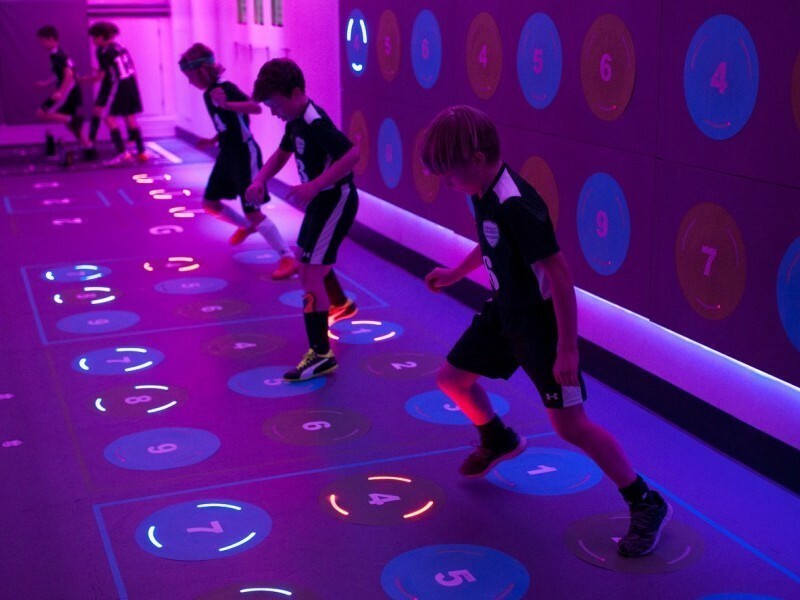 Walls and floors light up and respond to touch, becoming your competitor, teammate, or target. Using first-of-its-kind technology in America, players improve athletic intuition—their sixth sense—while building the endurance they need to stay in top physical form for the entirety of a game. Murphy Center weight room: Players build strength under the guidance of trainers and coaches. 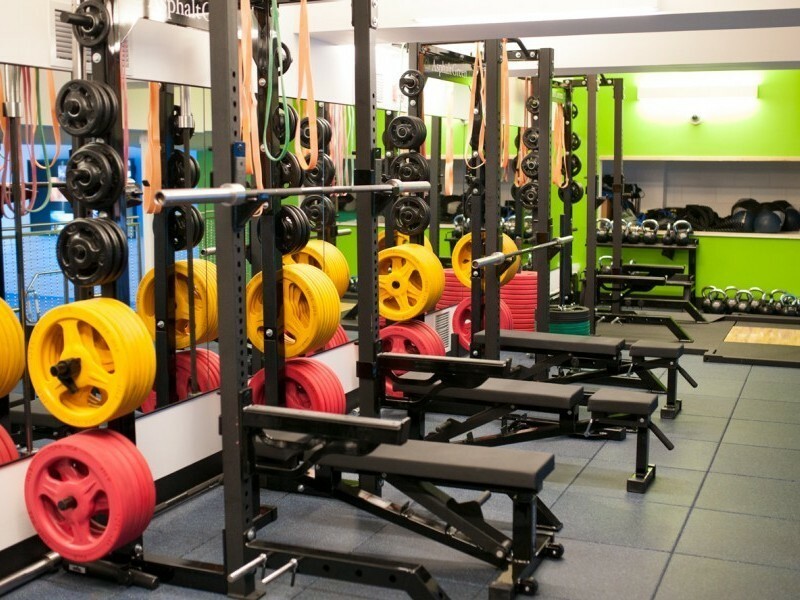 Exclusively for our competitive athletes, our weight room features three squat racks, adjustable benches, TRX® training, free weights, and kettlebells. Scrolldown for a photo tour of our soccer facilities. Athletic field: Asphalt Green’s 1.5-acre outdoor soccer field is one of the few places in Manhattan kids can play a regulation-size game. Indoor turf field: Additional space allows our coaches to use creative training methods—small-sided games, first touch drills, ball skills, etc. Rain or shine, it’s game on. AG6™: Improve speed, agility, quickness, and reaction time like never before in our one-of-a-kind conditioning space. Murphy Center weight room: Exclusively for our competitive athletes, our weight room features three squat racks, adjustable benches, TRX® training, free weights, and kettlebells. Asphalt Green Soccer Club member Pierce Siegel was crowned 2015 New York Red Bulls RDS champion in his age group!